Creative Therapy has been rebranded as Dusting the Soul and has moved over to Wordpress! Please follow the link below and click on the new follow links. 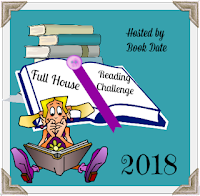 This challenge is hosted by Cheryl, Gina and Bev from Reading Challenge Addict. It's all about how many reading challenges you can complete. There are four levels: Easy as Pie (1-5 challenges), On the Roof (6-10 challenges), In Flight (11-15 challenges) and Out of This World (16+ challenges). There will be mini-challenges, updates & extra giveaways throughout the year. The sign-up post is here. 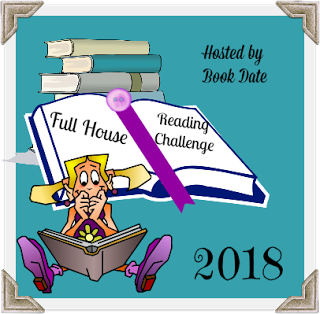 The Official 2018 TBR Pile Reading Challenge hosted by Roof Beam Reader is all about reading 12 books from your "to be read" pile that have been on your shelf or e-reader for at least one full year. This is a good challenge for me as I am a habitual book buyer who can barely pass a Waterstones without getting a shiny new paperback, yet there are plenty of novels that have been gathering dust on my shelves for years. The sign-up link is here and you can enter to win a SFF book of your choice. You can also link up your reviews here. Below are some of the books that are might read for this challenge, but I haven't thought of all of them yet, so there are some gaps. 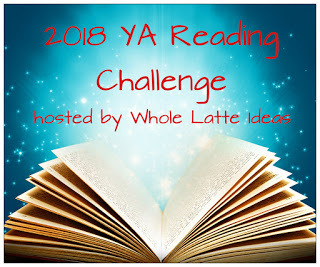 The 2018 Young Adult Reading Challenge hosted by Whole Latte Ideas is all about reading books from the young adult genre. 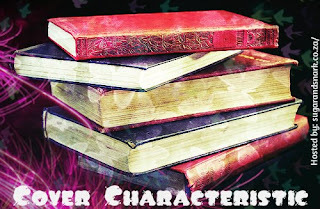 This is perfect for me as I really enjoy reading YA sci-fi and fantasy novels. Anyone can participate, whether you happen to be a 'young adult' or not! You can set any goal for this that you like and any sub-genres ansd formats count as long as they are from the young adult or new adult genre. If you want to join, visit the sign-up post. The aim of this reading challenge hosted by Mia Sutton is to read a book each month of the year that corresponds to a different colour. The full details can be found here and the first link-up will be on January 31st. Target: 12 books corresponding to each of the colours. Read on to see the colours for each month and which books I'm planning to read for this challenge. This reading challenged is focused on finishing those series that you're started but not yet completed. Here is the link up post. The series can be already completed by the author or still being written. For ongoing series, the goal is to catch-up to the most recent book published. You must have started reading the series before 2018 and any format counts. Crossovers with other challenges are totally fine and reviews are encouraged but not required. Read on to see the books I'm planning to read for this challenge! The idea behind this challenge, hosted by Literary Escapism, is to find new authors that you've never tried before, not necessarily ones that are debuting this year. They can be in your genre of choice or you can be brave and try something new. You can choose whatever goal you like. The sign up post is here. After reading your new author, write your review and then add your link to the form. Target: I'm aiming for 15 books by authors that are new to me. At the end of the challenge, you can enter for a 'full house' if you've ticked off all the categories on the card and you have a chance of winning a $40 prize (US only). I can't quite believe that we are already in 2018. Last year flew by for me, probably because I was very busy working, rebranding my business and taking care of my two year old. As a result, I didn't have much time for reading or writing, so I'm afraid my poor blog was neglected. I plan to invest more time and energy in it this year as I do miss taking part in the blogging community and making time for myself to be creative. I always love looking back on the year that's gone and reflecting on all the positive things that have happened. 2017 wasn't my best from a creative point of view, but I had some fantastic times with family and friends and those are the things that matter most to me. Time spent with loved ones is never wasted! Today I'm hosting the next spot on the tour for The Longing and the Lack (The Unliving #1) , a New Adult Paranormal novel by C.M. Spivey, which is due to be released on the 19th September. Keep reading to see the synopsis, read my review and enter the giveaway for a chance to win the grand prize! Blog Tour: Fate of the Stars by Arwen Paris with review and giveaway! Hope you're all having a relaxing Saturday. To kick off this weekend, I'm taking part in the blog tour for Fate of the Stars, a YA science fiction novel by Arwen Paris which was released on September 1st. Keep reading to see the synopsis, read my review and enter the giveaway for the chance to win an Apple iPad mini 4! Blog Tour: ReWired by S.R. Johannes with review and giveaway! Today I'm excited to be taking part in the blog tour for the YA cyber thriller ReWired by Shelli Johannes-Wells (writing as S.R. Johannes), which was published on August 27th. ReWired offers a fresh and exciting new take on the genre, and could be described as Ally Carter’s Heist Society meets The Girl with the Dragon Tattoo for teens. 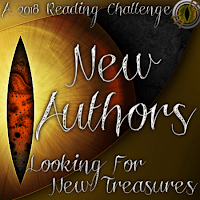 Keep reading to discover the synopsis, read my review and enter the giveaway for the chance to win a $50 Amazon gift card! Today I'm joining in with the Cover Characteristic meme hosted by Sugar and Snark. Every week the authors choose a theme and you have to pick five of your favourite book covers featuring that object. Today's cover characteristic is Train. Trains are often featured on book covers to symbolise journeys and new beginnings, they are especially popular for mystery and thriller novels. Keep reading to see my favourites. @Anstice Brown, 2008-2015. Powered by Blogger.